In any vigorous intellectual community, people sometimes disagree. Disagreements are part of university life and shouldn’t be avoided. We should, in fact, expect to find different opinions, on both matters of fact and matters of value. But everybody has an obligation to disagree respectfully, regardless of his or her position in the community. At the same time, it’s important for everyone to recognize the difference between understanding and agreement. Instructors may ask students to demonstrate their understanding of ideas the students may not like. Students aren’t required to agree with the ideas, but they are obligated to demonstrate an understanding of what’s taught. In the same way, faculty members can ask for understanding of ideas and facts from their disciplines, but shouldn’t require students to agree with values connected with that knowledge. Study in and out of class by all students. Discovery, creativity, and research by students and faculty members. Engagement with local and global communities. Open discussion of ideas and issues. To support this intellectual life, students and faculty members need to talk about what they expect from each other as we all pursue the goals of learning and discovery. Within the University community, faculty members and students will encounter diversity in age, race, ethnicity, socioeconomic class, religion, sexual orientation, and physical or learning ability. The University values and supports openness, pluralism and mutual respect. Diversity matters at the University of Kansas. It matters because diversity enriches our ability to solve problems and create new knowledge. It is our goal to have the richest possible mix of perspectives, life-experiences, interests, world-views and cultures in our campus community. Setting boundaries with your students is a way to avoid devoting too much time and energy to problems outside of the normal classroom activities. Part of this includes knowing when to refer your students to other campus resources. Sometimes things occur that are outside your area of expertise. There are people on campus who have a great deal of experience and expertise, ranging from housing disputes to mental illness. 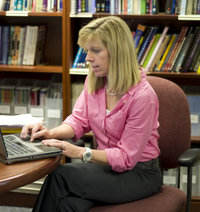 Departments within the Office of Student Success provide a variety of services and programs that are designed to enable students to excel academically, such as the Writing Center and the University Advising Center. The Office of Multicultural Affairs and the Academic Achievement and Access Center help students make a smooth transition to college life. In addition, students can receive assistance and support through the Counseling and Psychological Services Center, Legal Services for Students, and Disability Resources. For more information about these resources, please visit Student Affairs: Office of the Vice Provost.